Recreating the nine levels of the Aztec Underworld in the basement of a community centre is an ambitious undertaking. 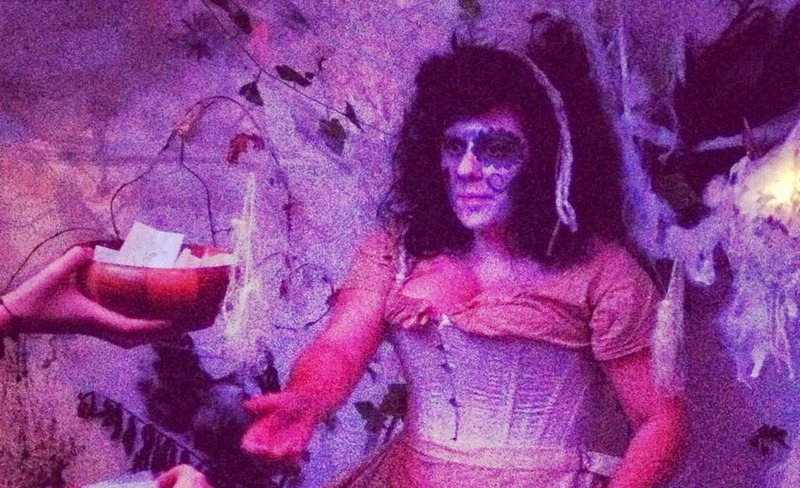 Taking inspiration from elaborate and involved US-style Halloween haunted houses, The Dreamery company combines immersive theatre with installation and performance art. So, theoretically, we leave the drudgery of a rainy London October behind and venture underground to the realm of the dead, to be guided, tested and transformed by the spirits of the afterlife. Unfortunately, while I can't fault their ambition, and though there's a lot of neat stuff inside Las Maravillas, it doesn't really work. First suspicions that this wasn't going to be a mindblowingly intense experience came as we were being ushered down to the basement. The person guiding us down said "I'm supposed to be telling you a story right now, but I haven't got time". I'm not the hardest person to please in the world, but when the first contact we have with the show says they can't be bothered to perform it sets off some worryingly loud alarm bells. I was there on a press ticket, but I'd imagine this would have annoyed me even more had I forked out £10 (or £15 on the weekend). If the rest of the show had hugely improved from that I might not have mentioned it, but throughout you get the sense that a few members of the cast have their minds elsewhere. For example, throughout the show you travel with a group of 6 or 7 other audience members. At one point you're split up and come back together and another person has been added to the group. He's then plucked from among us and something grisly happens to him. I'm guessing the intent is to create a sense of danger, terrifying us by blurring the lines between participant and performer. This didn't happen because the first thing he said, in a slightly annoyed tone, was "Are you group 6 or 7?" followed by him gently shoving me out of the way for apparently sitting in the wrong place - all of which combine to make it a bit difficult to maintain the illusion that we're in the afterlife. This is a shame, because for every slightly surly cast member there's three or four that are genuinely giving their all. The experience is segmented into a series of rooms, each occupied by an inhabitant spirit who performs/tests you. I don't want to spoil exactly what happens, but the sad skeleton lady with the straw in the first room was genuinely spooky and slightly touching, as was the sad skeleton lady in the room with all the cotton wool. On the actually-pretty-unsettling front are three masked, predatory women who writhe aggressively around one of the rooms. What they all share is a willingness to get right up in the audience's face, as if daring us to maintain eye contact with them. Paradoxically the best of these actors also finds themselves in the most awkwardly designed room. The 'finale' of the show involves meeting a woman who beckons you from behind some branches. You poke your head through and she cradles your face, speaking softly and insistently about your relationship with her, before asking me to dance with her. Amongst everything here it was this intimate moment that genuinely creeped me out. Problem is she has to have this one-on-one moment with everyone in your group, so by the time the last person gets to talk with her they'll have been waiting for more than 10 minutes. The room we wait in is nicely designed, full of spooky stuff and has a creepy ambient soundtrack playing - but it increasingly feels like a waiting room. A few of my group got bored waiting and just left, unceremoniously popped back into the basement of a community centre. There's a distinct lack of momentum in the way we progress through it, which is a shame because there's a hell of a lot of potential here. The production design is an excellent example of maximising a budget; the atmosphere crammed with tiny little design touches. There's a make-do canniness at play; for example, repurposing hairnets as spider-webs, cleverly designed gory blindfolds and the well-realised idea of changing the texture under the audience's feet as a way of marking transitions between spaces. Some of these rooms are striking installations in their own right; impressive even if divorced from the show around it. An early room is lit by strobe lights and pulsating sounds, disorientating the audience by refusing to let us focus on exactly what the weird objects around us are made of. A later room with a clock motif is similarly beautifully lit, shadows of cogs and gears floating around the space. It's so obvious that a lot of careful thought and subsequent hard work has gone into Las Maravillas that I feel a bit guilty criticising it. But unfortunately, for all these wonderful flourishe the audience were often made to feel like a bit of an inconvenience. This prevents us from becoming immersed in the show and as soon as our minds are elsewhere the illusion shatters. Now, all these criticisms could maybe be chalked up to opening night jitters. Maybe once the bugs are ironed out audiences on other nights really will be able to lose themselves in the Aztec Underworld. I really hope The Dreamery achieves what their goals over the next few nights, but I left a bit disappointed. 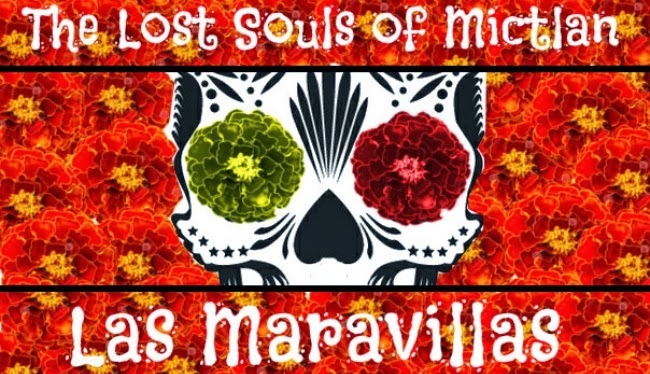 'Las Maravillas: The Lost Souls of Mictlan' is at The Rose Lipman Building until 1st November, Tickets here.